Before the Danaher Death Squad was making waves with their numerous leg lock finishes ,Ralph Gracie Black Belt Sean Roberts used his devastating calf slicer to submit numerous opponent’s in Lloyd Irvin’s BJJ Kumite. Roberts was able to use his calf slicer to gain several quick submissions. In the video below Roberts shows three ways to set up the calf slicer. A key detail on the first set up that Roberts covers is the importance of bringing your opponent’s knee into your chest. By bringing their knee into your chest you are able to stop their knee slide pass. This seems like a great detail that can be applied to both setting up the calf slicer and stopping the knee slice pass. The second set up that Roberts shows also looks as if it could be super effective given today’s leg lock crazy environment. When attacking the legs a common concept that you hear is that you can only attack the legs when you have both legs inside of their legs. 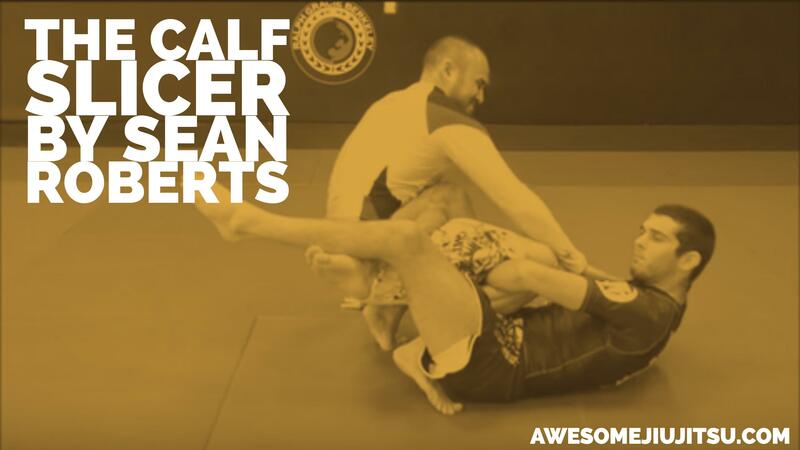 In the second set up Roberts is able to attack the calf slice when he has one leg out and one leg inside of the guard. This could be a great way to make your opponent feel as if you are threatening them from every position.